Hello everybody! It's time for the May report. Only more gorgeous projects from Little Things To Sew! Check out the Flickr group here, or the original challenge, (with no dodgy back room deals; just a lovely sponsor) by clicking the button below. I said I would get distracted from this challenge and boy, did I ever. Kid's Clothes Week and Selfish Sewing Week had me pretty busy. I think I also went to work, fed and cared for the kids (but apparently not Flipper, sigh) and slept a little, but it's all a bit hazy. I did have another little friend of mine turn one recently. A first birthday calls for a LTTS project (right?!) 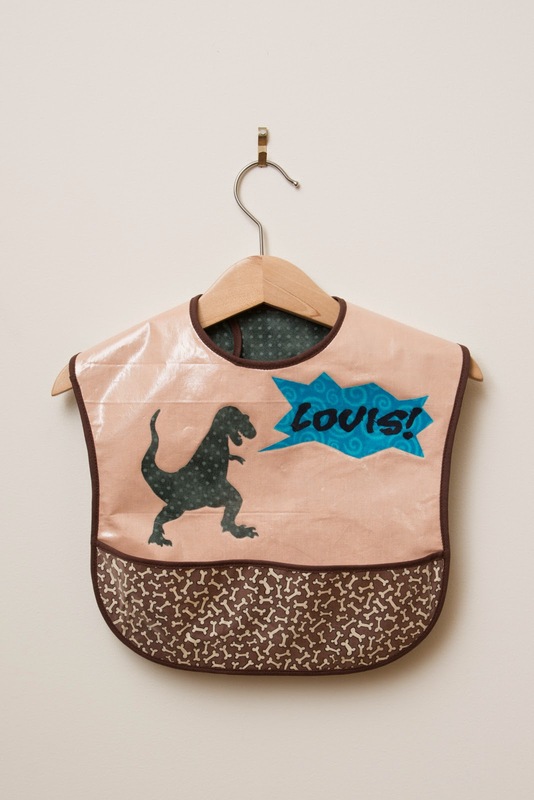 and so I made him some Messy Kid Bibs. If you've never tooled around with Iron-on vinyl, you have no idea how much fun you're missing out on. Apparently he loves peas. Oops. The need for pattern matching and fussy cutting is inversely proportional to the likelihood of getting covered in bolognaise sauce. Here's the updated PDF scorecard. Now spread over two pages. That's about 400 less, at a guess, than the other upcoming May Report but mine will spread a lot more joy! As well as our two finishers, Sharon and Lynn, there are a couple of us on double digits now and looking like a finish by the end of August. But every project counts, so sew one for yourself, one for your kids and one for your country! 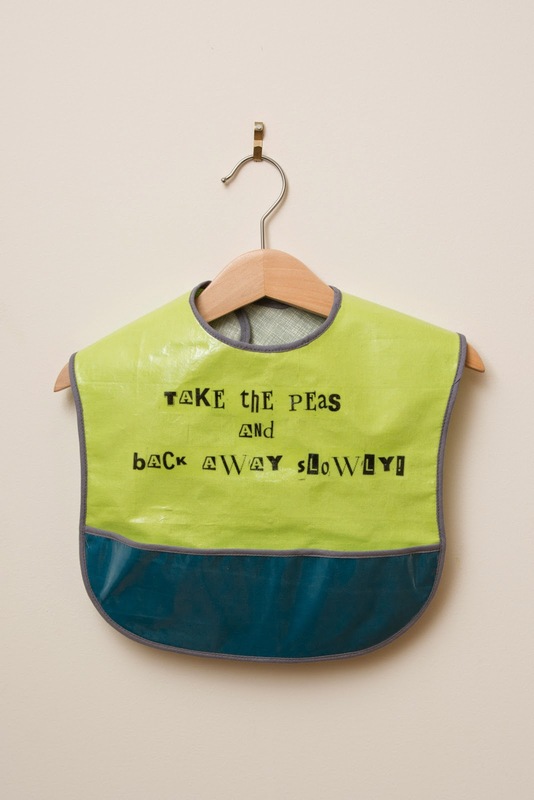 Haha I love the peas bib. I need to get movin! No way I finish by August but I have a few so close to finished. AH! I love these! Hilarious! I totally haven't tried iron on vinyl, but now I need some IMMEDIATELY. They are adorable and you are hilarious.